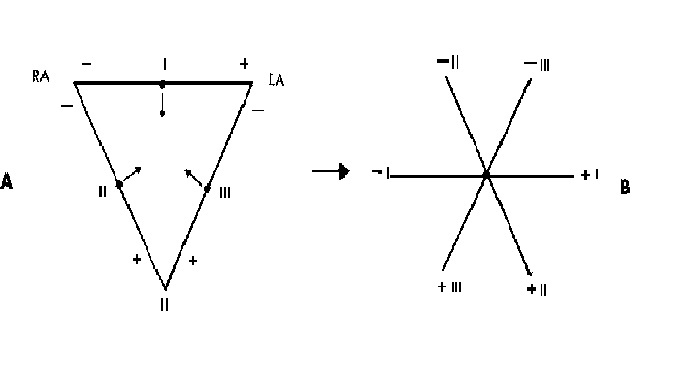 and III) and the unipolar extremity leads (aVr , aVl , and aVf ). legs. The right leg electrode functions solely as an electrical ground. 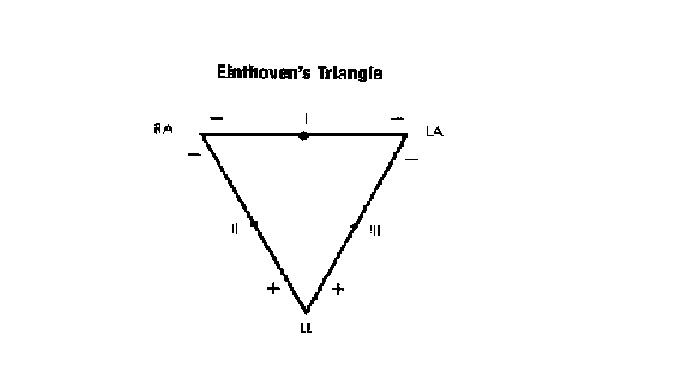 terms of a triangle, called Einthoven' s triangle. electrocardiography, one plus three equals two. invented the three augmented unipolar extremity leads: aVr , aVl , and aVf . left arm, and left foot (leg) respectively. 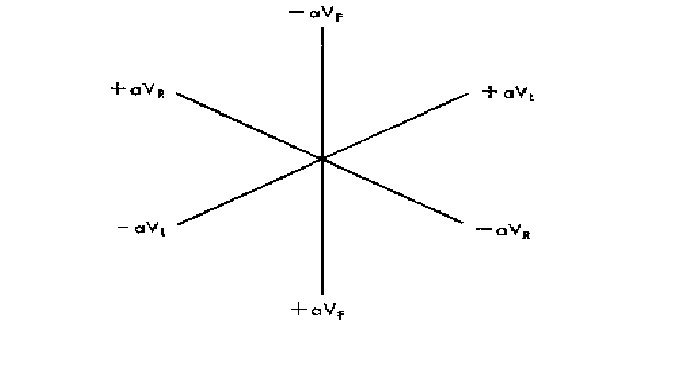 (axis) with a positive and negative pole. lead aVf points downward toward the patient's left foot. features. They have both a specific orientation and a specific polarity. can be represented by a line (axis) with a positive and a negative pole. 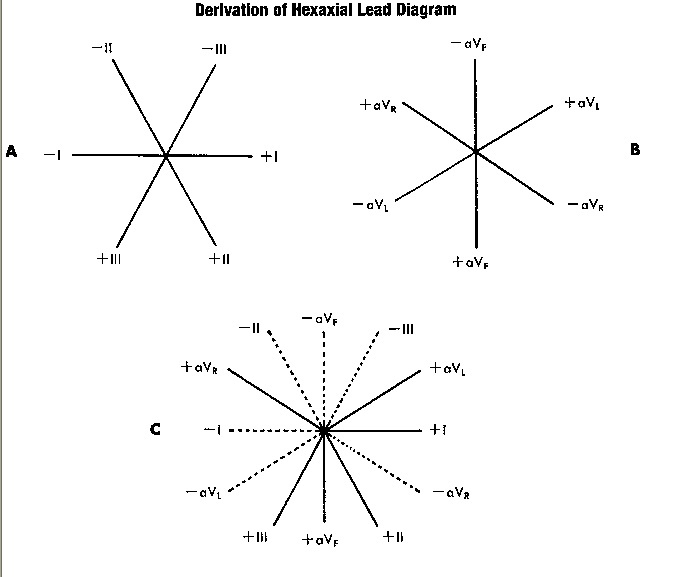 the six extremity leads (I, II, III, aVr , aVl , and aVf ). 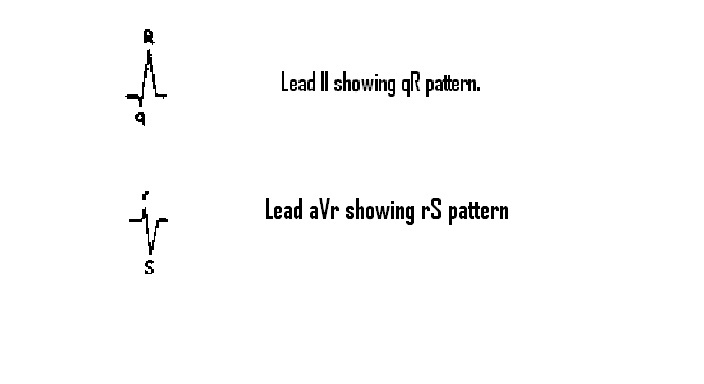 lead aVr and lead II, on the other hand, point in opposite directions. and VERIFY) . also see the nomenclature used !!! always resembles that shown by lead III.